The decision to sell your alarm company can be a difficult one. There are many factors to consider, from determining whether or not your alarm company is sufficiently prepared for sale to making sure you time the sale of your alarm company correctly in order to maximize your profits. Once you’ve decided to move forward with the sale of your company, the process of selling can be challenging as well. Even in a seller’s market, your company may not be purchased immediately, causing you to question your decision to sell in the first place. As experts in mergers, acquisitions and financing for the security alarm, fire and integration industry, we have lots of selling advice for alarm business owners that can help to make the sale of your alarm company a reality. One piece of advice we recommend for those selling alarm companies: articulate your alarm business’ unique selling point (USP). Your alarm company’s unique selling point is essentially the thing that sets your company apart from others. What would make a customer want to work with your alarm company over another? What features and services does your company offer that can’t be found anywhere else? Every organization has something unique about it. The trick is understanding just what makes your company unique and using that USP to appeal to both customers and – when it comes time to sell your alarm company – potential buyers. Why is Understanding Your Alarm Company’s USP So Important? Understanding and clearly articulating your alarm company’s unique selling point can help you to attract interested buyers when selling your alarm company. By highlighting why your alarm business is valuable and letting potential buyers know about your alarm company’s strengths, you can attract high quality buyers who are willing to pay top dollar for your company. Working with an experienced alarm company broker like Acquisition & Funding Services can be incredibly beneficial, even if you are confident that you fully understand your alarm company’s USP and feel you are prepared to sell your company on your own. There are a number of benefits to working with an alarm company broker – one of which being that a broker can expose your alarm company to a pool of qualified buyers who are willing to pay top dollar for your company. A broker can also help to promote your alarm company’s unique selling point, attracting interested buyers and then negotiating great terms of sale so you can maximize your profits from the sale of your alarm company. Unsure of what your alarm company’s unique selling point is? A broker can help you to determine your organization’s USP and can help to promote that USP as your representative throughout the sales process. If you want to maximize your profits in the sale of your alarm business, understanding and clearly articulating your company’s unique selling point and working alongside an alarm company broker to promote it is the way to go. Ready to sell your alarm company and need an experienced alarm company broker? Contact Acquisition & Funding Services today at (800) 354-3863 (Rory’s cell, 24/7 availability). Owner Rory Russell has nearly 20 years of experience in facilitating multi-million dollar transactions in the security alarm, fire and integration industry. He will work with you to ensure that your alarm company is well-positioned to sell and help you to obtain the highest price possible for your company. 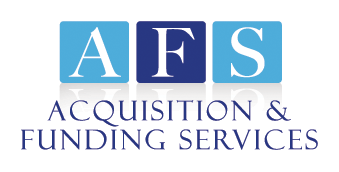 Find out more about how AFS can help you leverage your alarm company’s unique selling point into profit. Contact Rory today for a complete, no obligation alarm business valuation. Editor’s Note: This content was originally published in 2015 but has been updated as of September 2018.